Just 5 minutes walk from the Train Station you will find us. 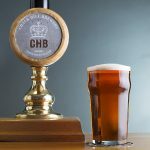 Predominantly a cask ale pub as we are on the same site as the award winning Chalk Hill Brewery with food available from 12-9.30 every day, a good selection of wine, a friendly atmosphere and with Sky sports. we think you’d be silly not to give it a try.